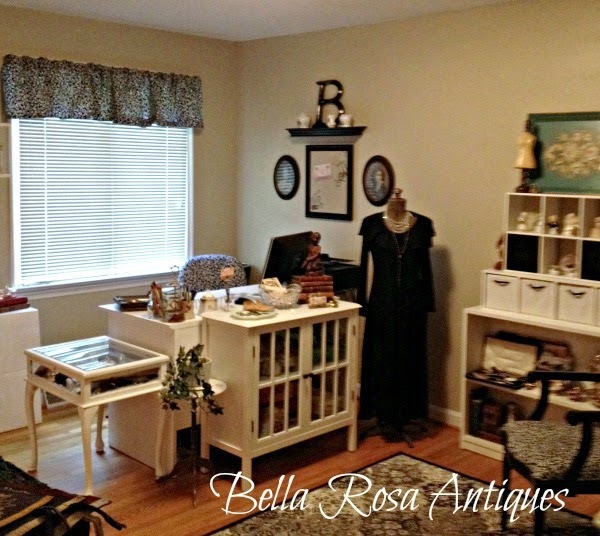 Bella Rosa Antiques: Seven and Counting, Plus a Vintage Wedding Party! Me, getting ready!!!!! The nerves were starting to set in. 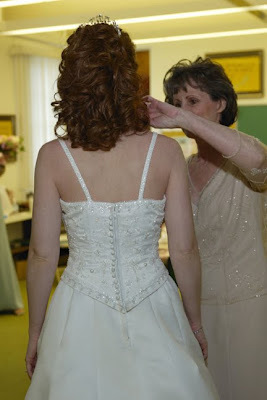 All the buttons... that's my Mom taking care of the "Last minute touches"
The train of my gown... full of beads. 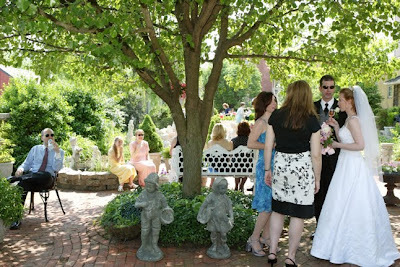 The courtyard where we had the beginning of our reception. Mmmm...the cake. I wish I remember what it tasted like! I'm surprise it didn't melt. It was a really hot day in May. Thunderstorms were approaching as we were wrapping up the reception! 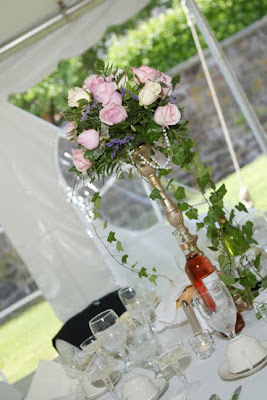 The pretty pink rose centerpieces. A dear friend of mine saved some of the roses from a centerpiece and a strand of pearls, gave them to me a year later. So sweet! And what's a romantic tale without a sweet chairot! we can accomplish in the next seven... and beyond! 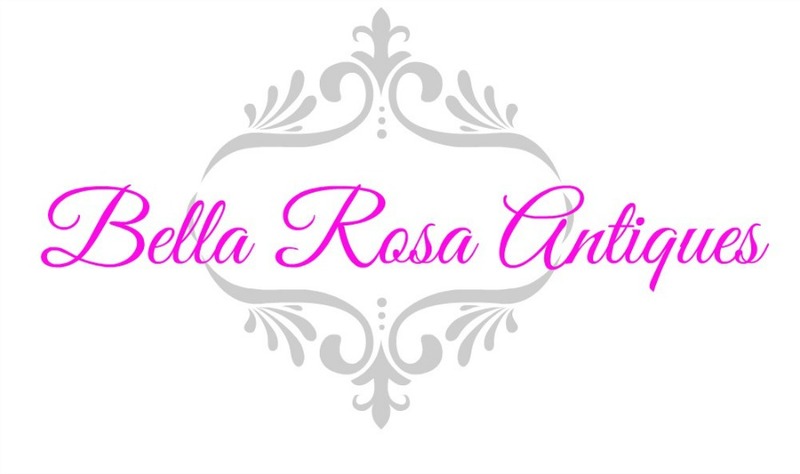 For vintage wedding collectibles, accessories, and gifts check out my shop, Bella Rosa Antiques. I'm also linking up with Stephanie at Angelic Accents for her wedding party ...click here to check it out! What a gorgeous dress!!! I love it! Happy Anniversary! Happy Anniversary to You & Your Sweetie! 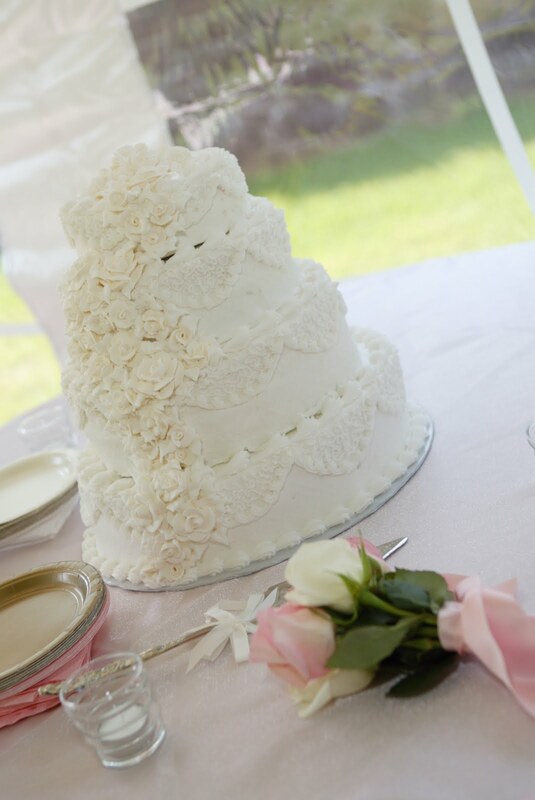 I hope your day today is as beautiful as it was 7 years ago..
Hi Jillian, Happy Anniversary to you and your husband..... what a beautiful dress, and your cake looks to pretty to eat, it's gorgeous!!! Happy anniversary! Thanks for taking us down memory lane! There are so many more memories to come! Congrats to you both. You were a beautiful bride. I'm sure your next seven is going to be even more fun than the first. It will be different, but that's a good thing. I love your cake and centerpieces-beautiful wedding! Thanks so much for sharing and Happy 7 Years!! Sweet memories! Happy Anniversary Jillian! How beautiful it all looked! And what a sweet friend to think to gather some keepsakes for you! Thanks for sharing and congratulations on seven years! What a gorgeous bride and dress! Happy Anniversary! Just had to stop by again and I love your post. What a wonderful way to honor your husband. Hi Jillian! 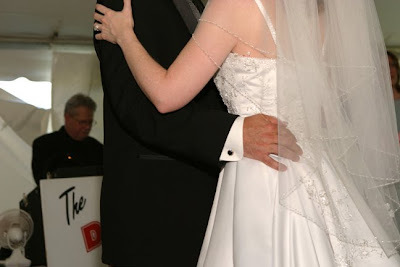 Thanks so much for joining our Wedding Blog Party! My out of town relatives are gone now, and I'm so enjoying all my friend's beautiful wedding posts! 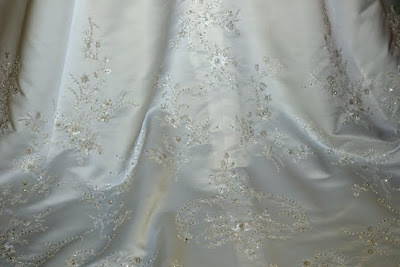 What a beautiful gown you had ~ I just love all the detailing down the back of it! Your cake looked absolutely amazing! I don't remember what ours tasted like either! How sweet of your friend to save some of the roses and pearls and to present to you on your anniversary! Something to cherish forever! 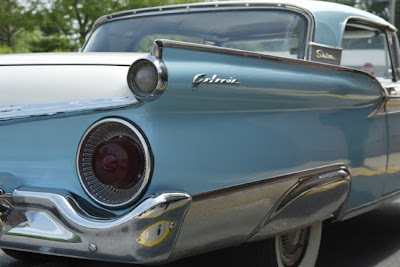 Love that vintage car, too!